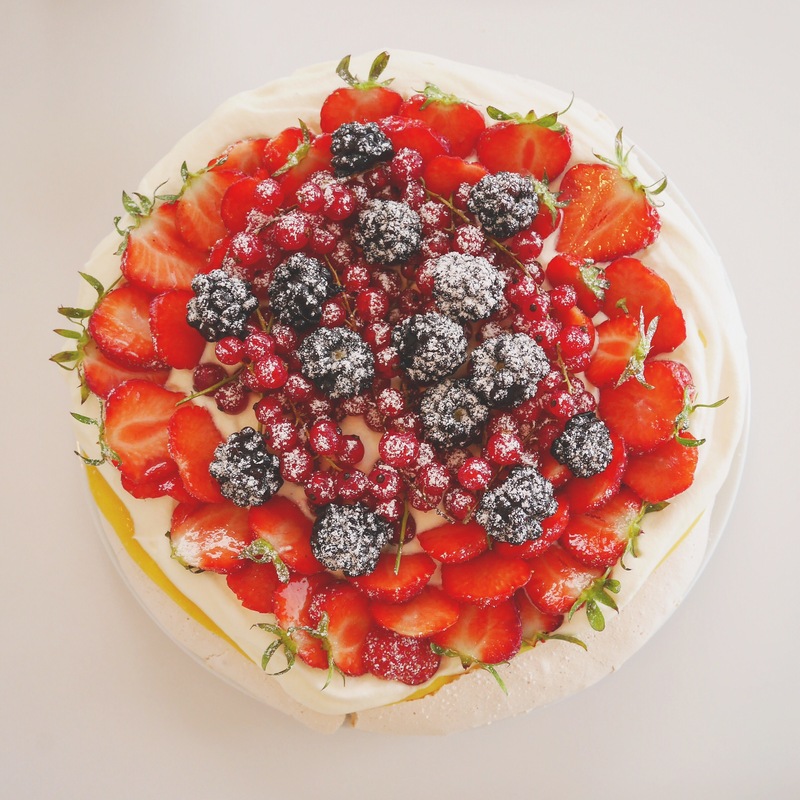 This is the summery pavlova I made the other day, and it was super good, especially with this tasty lime and passioncurd! Whisk the egg whites into meringue, really hard, the bowl should be able to turn upside down. Add the sugar and lemon juice and whisk until the meringue is glossy and forms small peaks. Mix the cornflour. 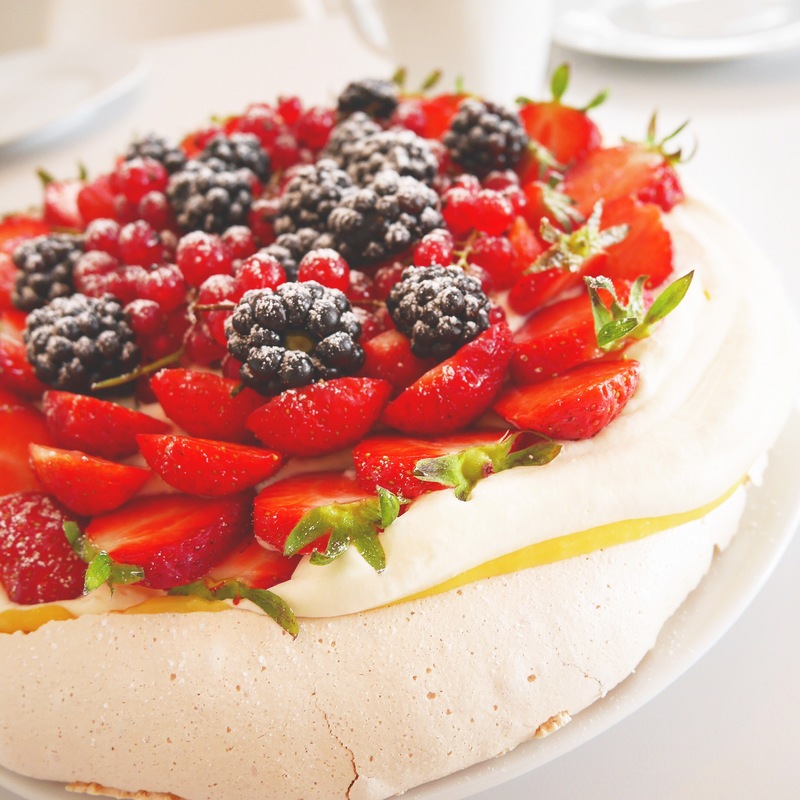 Pour the meringue mixture into a piping bag or plastic bag and pipe round bottoms, about 12 cm in diameter on a baking sheet with parchment paper. Bake and turn the heat down after 15 minutes to 100 degrees and bake for another 30 minutes. 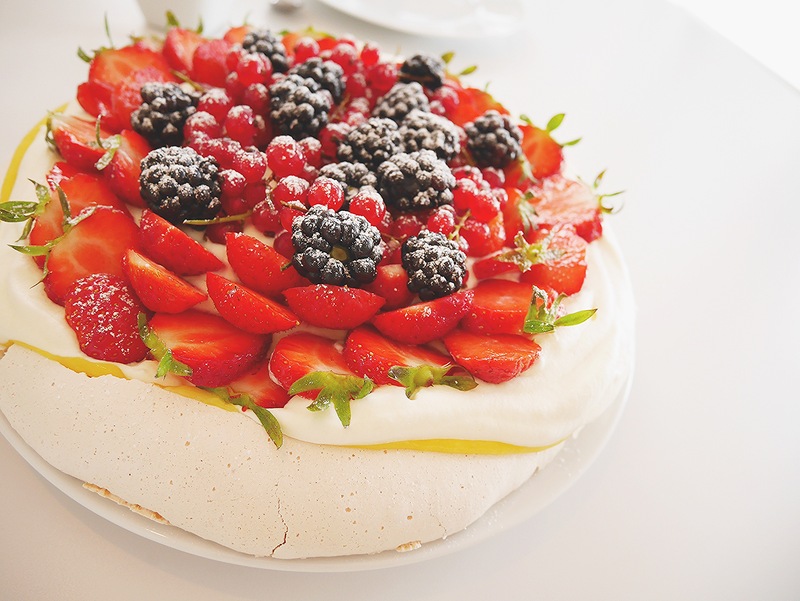 Take out and feel the meringue, it will be tough on the outside and creamy inside. If it seems too much creamy, bake 10-15 minutes. Let cool on a rack. Boil water in a large saucepan to simmer the curd. Grate the zest from the lime and squeeze out the juice. Pass the guts from the passion fruit into a sieve by scraping around it and squeeze it hard against the edges with a spatula so that the juice runs out and the kernels remain. Melt the butter in a saucepan and add the sugar, egg yolks, eggs, lime juice and zest. Place the pan in the water bath and whisk until the mixture thickens, about 5 minutes. Let cool it cool then pass through a sieve.